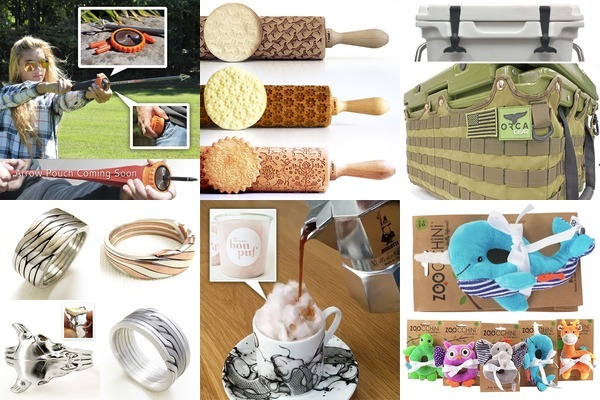 As for what we’re defining “gifts” as this year - fun products that you can wrap your arms around (i.e. no cars, ovens, walk in greenhouses, etc.) that aren’t basic tech items (i.e. computers, speakers, cameras, gaming consoles, kitchen appliances). We’re going to focus on the fun, random, and unexpected… for all that other stuff - there are so many other places to go look! 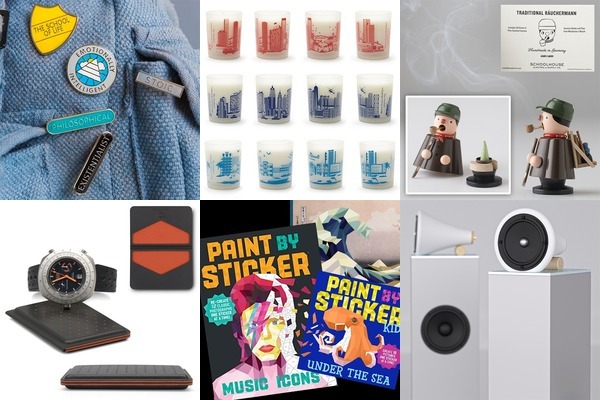 Also, we’re focusing on products you can actually BUY and have under the tree (i.e. no crowdfunding or pre-sales). So it’s kind of a free for all! 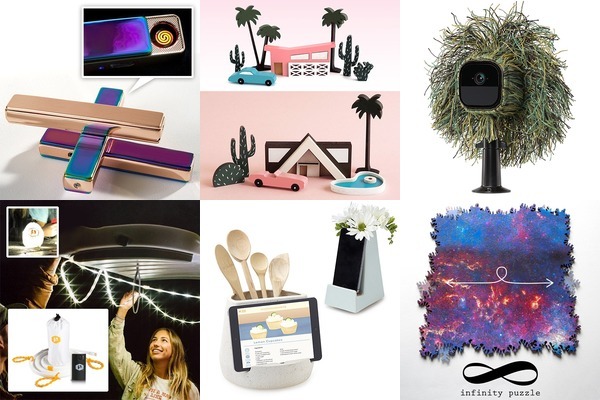 I’ll show you some stuff that could make for a fun gift (for yourself or others!) 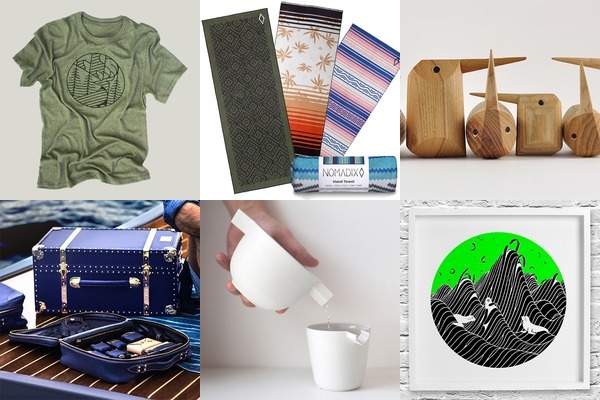 and leave it to you to decide who would like what (instead of Gifts for Mom, Gifts for Travelers, Gifts for “insert stereotype that is unlikely to be true here.”) Oooh, also - these are all items our team already has or wants to gift or wouldn’t mind being surprised by. Reminder - click any squares/images to go find out more! 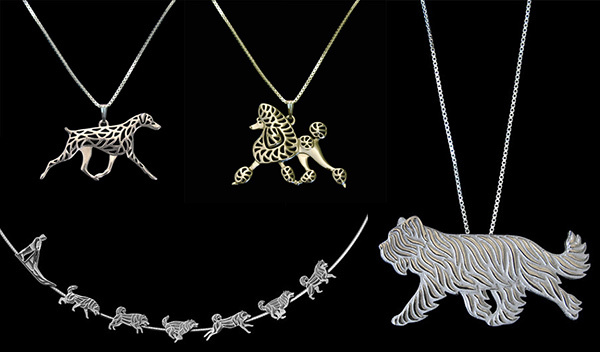 Siberian Art Jewelry by Amit Eshel could be the perfect gift for a dog lover - especially those who love less common breeds! Lovely interpretation of the dogs in motion! 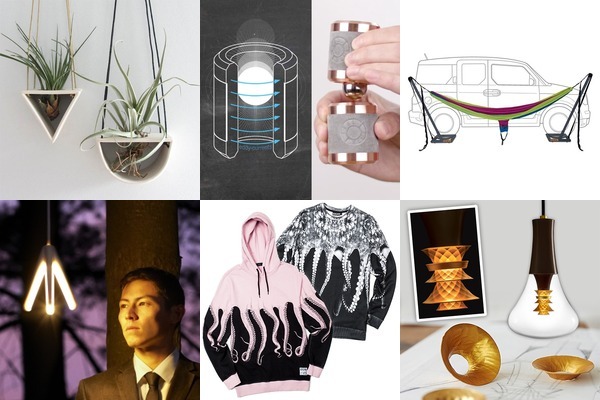 Four&Sons Magazine - where dogs and culture collide. 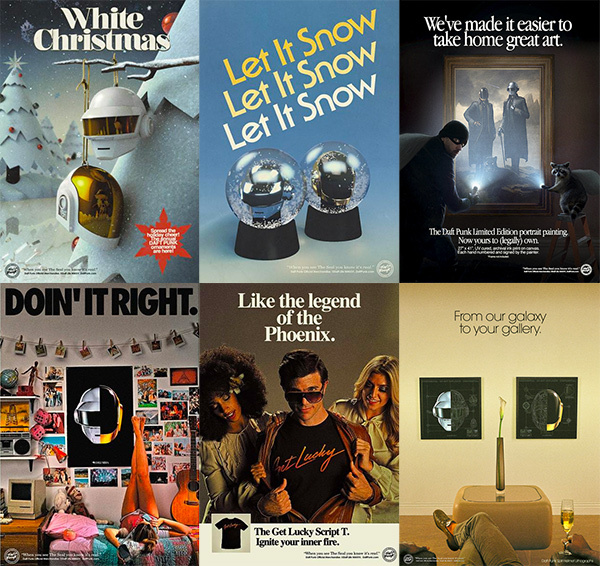 Daft Punk - from holiday ornaments and snow globes, to the amazing ads now as available as posters! 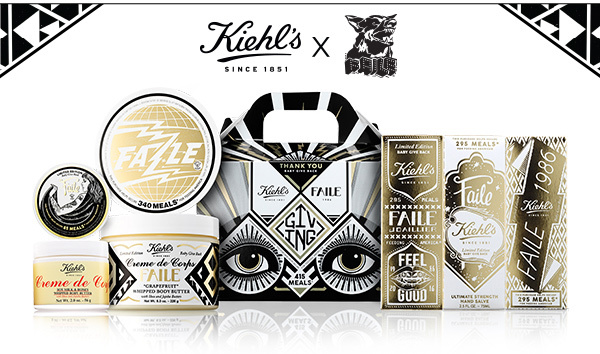 Kiehl’s Gifts by Faile - what a gorgeous collab on this years gift packaging! If i had to pick one must read book for designers… this year, read Design: The Invention of Design by Jessica Helfand. When i was feeling lost about where design is heading and second guessing my instincts… this book beautifully discusses the current state of design, with a focus on the humanity that drives and creates it. 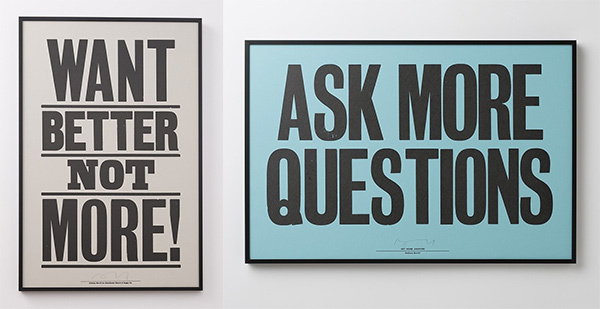 It simultaneously felt like it was exposing the emperor’s new clothes, while making me hopeful for what is to come and what our role as designers (and consumers) has evolved to be. Read it so we can talk about it more? 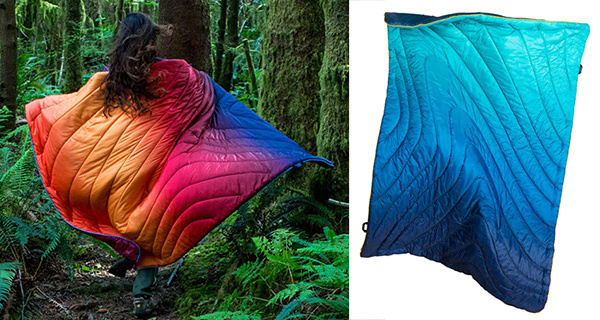 Rumpl Faded Puffy Blankets - THE COLORS!!! 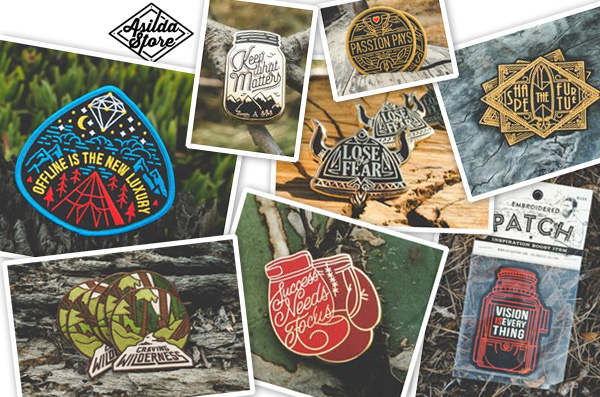 Asilda Store is filled with pin/patch/sticker inspiration for getting creative, exploring, and shooting pictures! 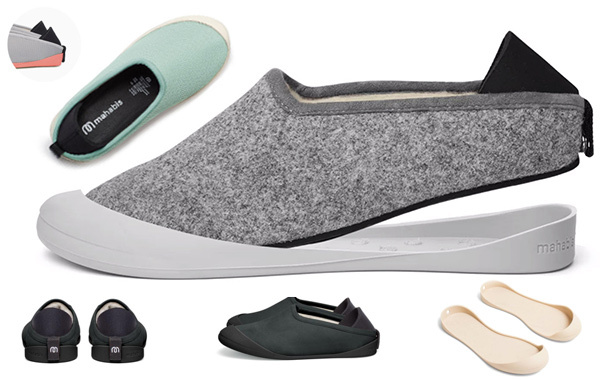 Mahabis Slippers with removable outdoor rubber soles. Inspired by Australia! 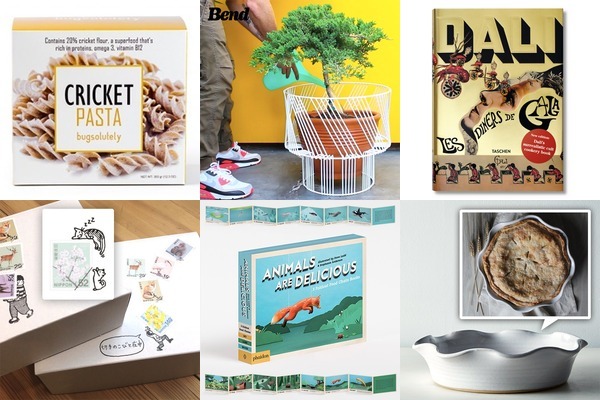 Here’s a set of 6 treats from down under! Back To The Roots Ready To Grow Kits! Perfect for all ages - i’m still amazed how fast the mushrooms grew when i tried it a few years back. 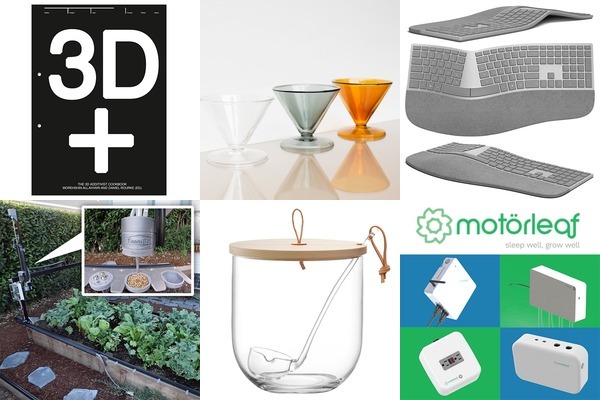 Also loving the idea of a mini aquaponic fish tank/herb garden setup. That isn’t just a xylophone… you can loop and delay and mess with pitch! And those sneakers have a secret colorful side that comes out when reflecting light. 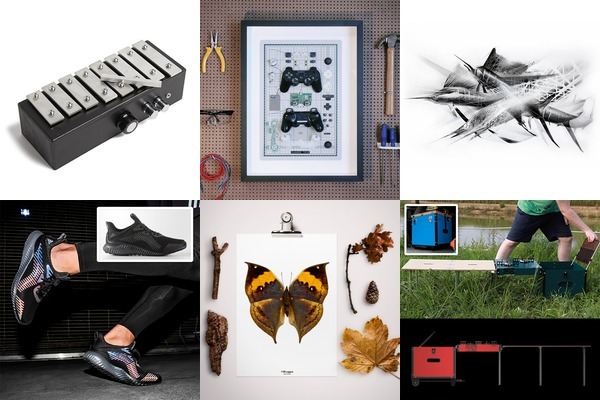 The look inside your tech that can hang on your walls! It’s pretty amazing how much pops into that camping cube. 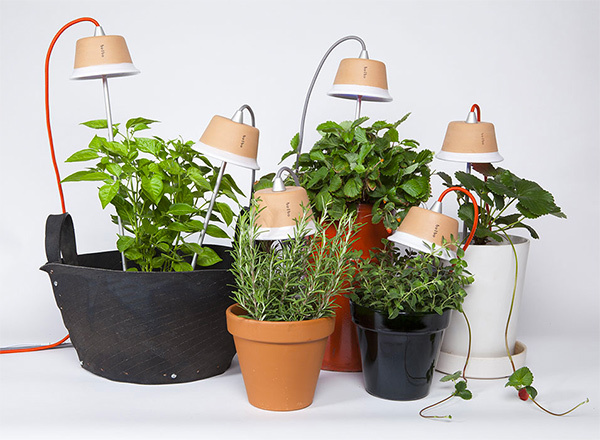 A few ways to control/automate your garden with extreme precision! the 3D Additivist Cookbook! Lovely double walled drip coffee maker! Such a thin ergo keyboard option! 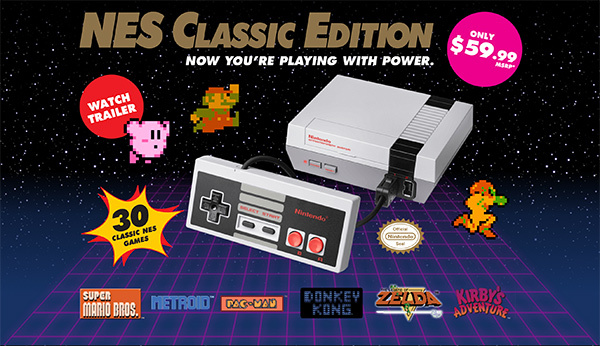 Nintendo NES Classic - “The NES Classic Edition system is a miniaturized version of the groundbreaking NES, originally released in 1985” and it’s preloaded with 30 games. Basically, this has become 2016’s super hyped nostalgic gamer gift, but it does look pretty fun if you don’t have the original around? 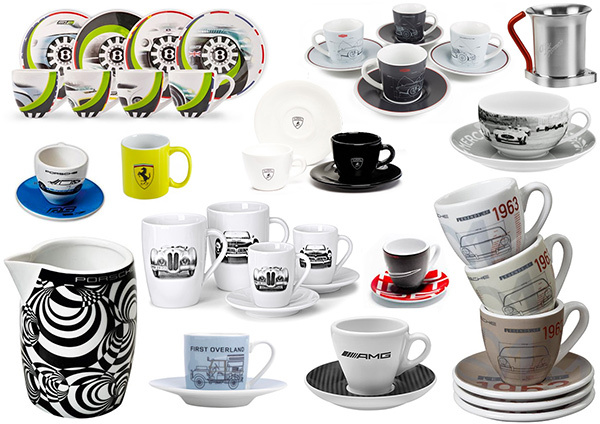 We got curious if there were enough espresso sets from luxury automakers to open a little cafe with no repeats… and there are far more than we expected! 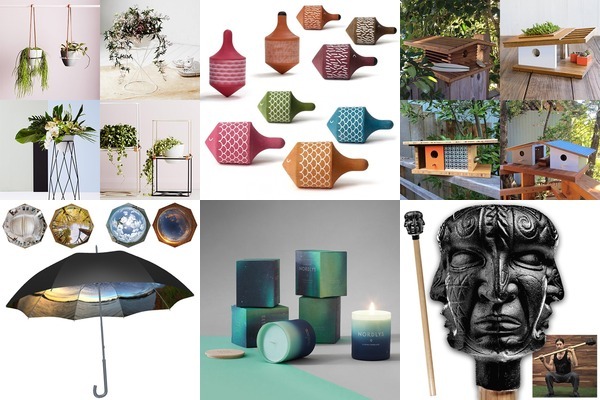 They are also quite lovely, so here’s a roundup of the best we found - mostly espresso cups, but also a few noteworthy mugs and a milk/sugar set you wouldn’t expect! So much fun stuff - the Apple book is an easy one for any design lovers! 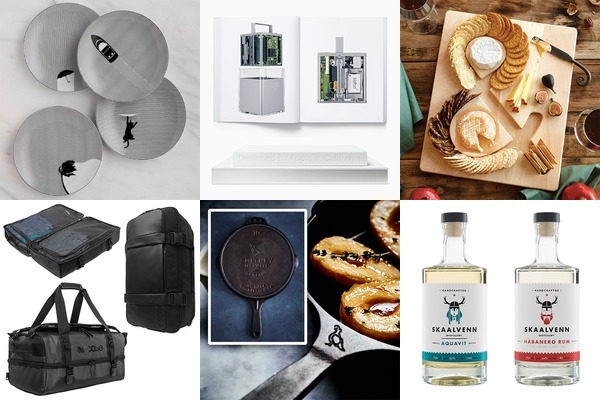 The black and white striped plates are stunning… the & cheese and cracker plate tilts the crackers so perfectly… cutest vikings on those drinks… the new incase split/roller bags are tempting… and how cute is that cast iron quail? 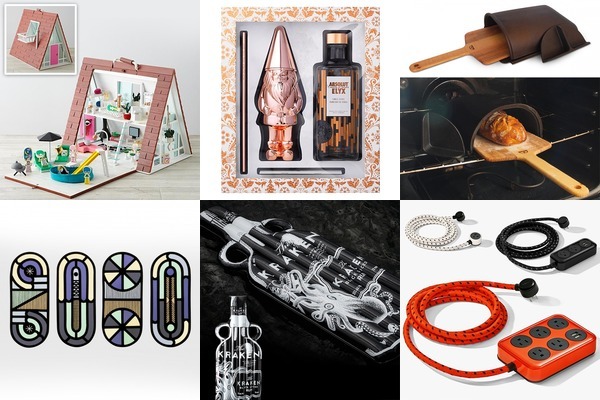 Drinks By The Dram - Whisky, Gin, Very Old & Rare Whisky, Tequila and more Advent Calendars. For the less patient - Holiday Crackers! Pop and sip with friends! 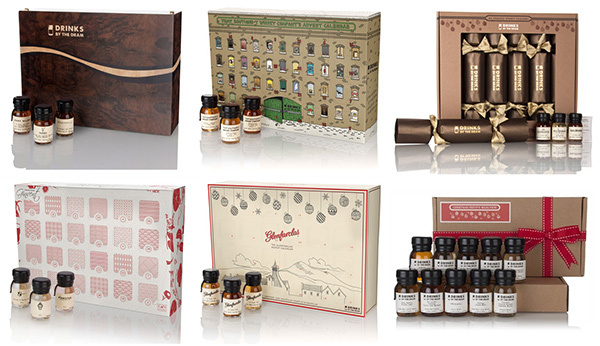 And for the least patient of all… Tasting Sets! 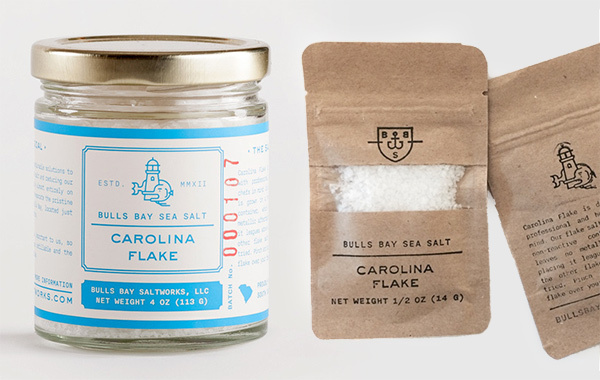 Bulls Bay Salt Works Carolina Flake - this Solar Evaporated Sea Salt has become a staple in our kitchen, it’s delicious! 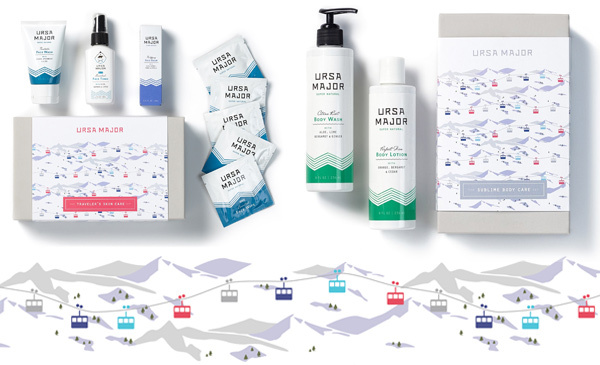 And the branding, logo sea creatures, and story are pretty great too! 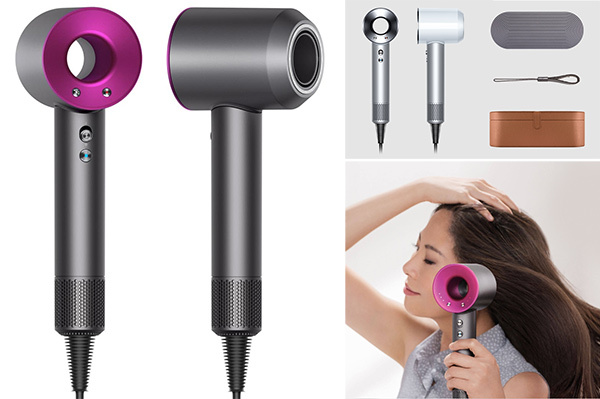 Dyson Supersonic Hairdryer - on newer tech/beauty products that have driven much lust as curiosity this season, this definitely tops the list. 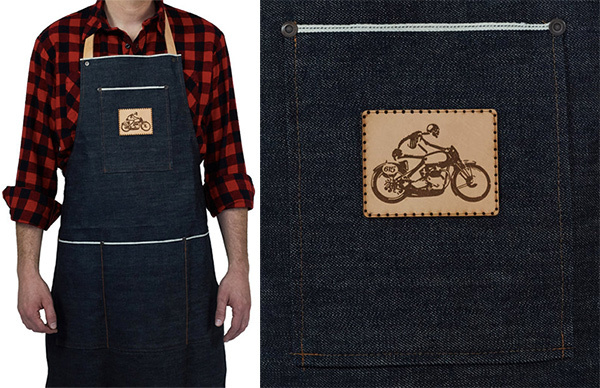 Denim & Spirits Selvedge Apron - for the selvedge denim diehard in your life… love the leather patch pocket too! Indigo 13.5 oz. Cone Mill selvedge denim apron with white/black selvedge stripe with a leader neck strap and tie back - made in Nashville, TN. 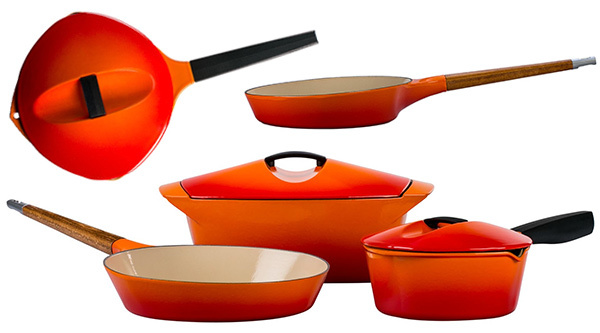 �plat SF has quite the “culinary tote” collection. 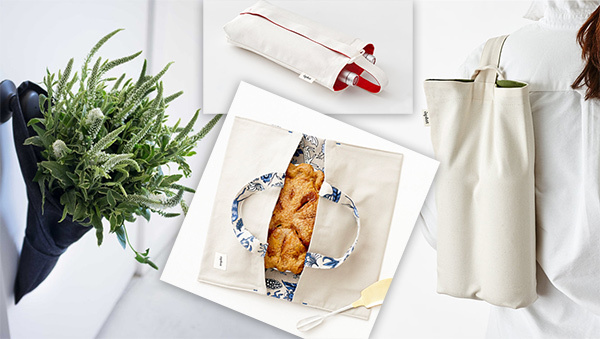 Perfect totes for pies, casseroles, cake boxes… as well as wine, baguettes, and flowers! Noble Carriage Organic Baby Gift Sets - cute doll/clothing/hat or teether combos for little ones. And sometimes their outfit will match their little creature too. 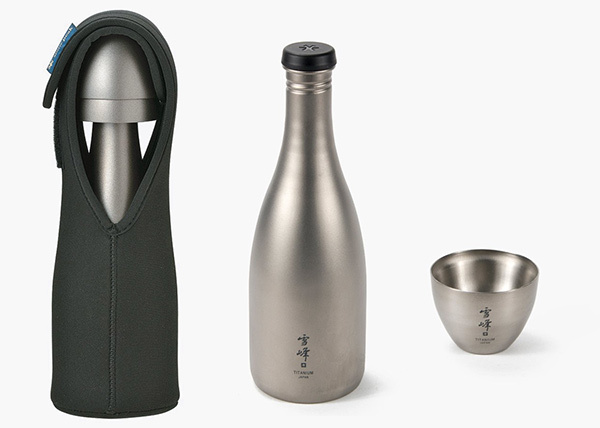 Snow Peak Titanium Sake Set - There’s the sake bottle, ready to store and chill your deliciousness, the little double walled cups, and the neoprene sleeve to take care of them until you’re ready. 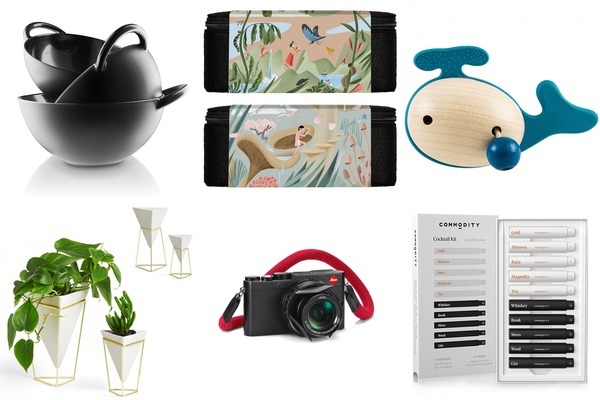 From Eva Solo mixing bowls (with easy handles) to Aesop’s naturalist inspired holiday kits and a stunning new Leica… and more! Click the pics to explore more. Lo & Sons Catalina Totes - this is one of my favorites! 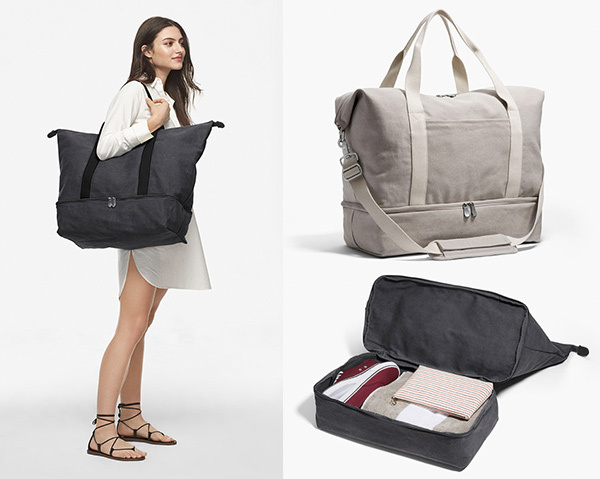 The less jetsetting and the more roadtripping I do, the more i adore flexible totes. I’ve been intrigued by the newer Catalina Deluxe, but actually prefer the simplicity of the original Catalina that i have! LL Bean Hunter’s Tote Bag Zip Top - is my other tougher, even more basic, cheaper go to tote. No frills, but holds up to just about anything, and is easy to customize with a monogram or logo. 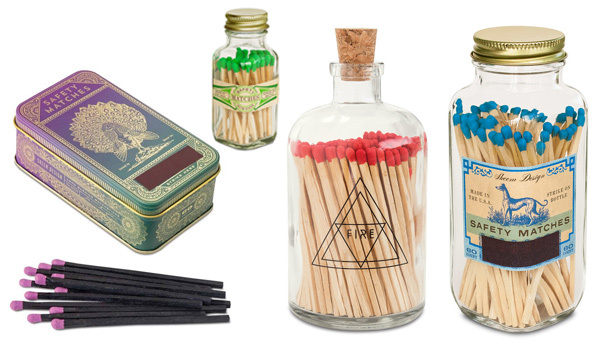 Beautifully packaged goodies at Skeem Matches - if you’re already gifting someone a candle, these would be the perfect accompaniment! 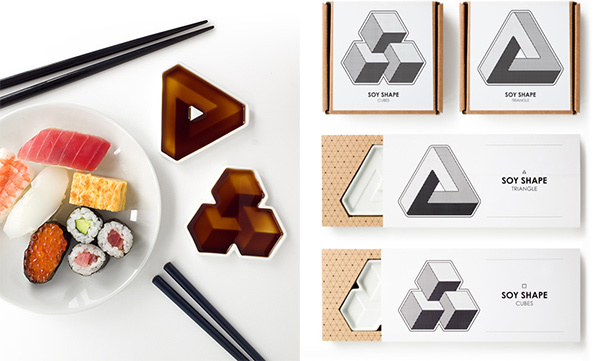 Duncan Shotton’s Soy Shape dishes for soy sauce are magical and full of optical illusions to elevate your sushi experience. Made in Gifu, Japan using Japan-grade “Hakuji” ceramic. Love the idea of 3D printing a vase that makes use of a standard water bottle! That snake ring! 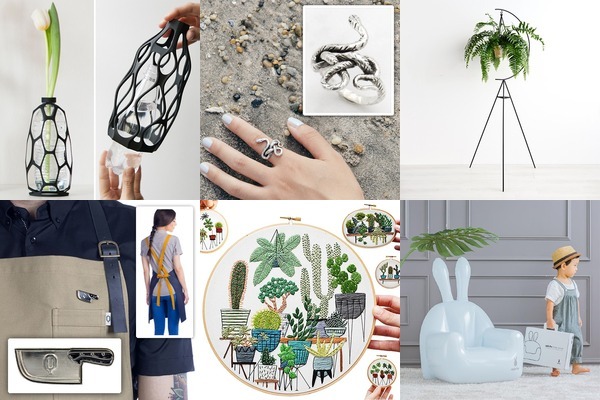 Ooooh that crescent plant stand just grabs your attention in a room. Such lovely aprons from Spain! Stunning greenery in the embroidery loops. What little person wouldn’t hop right into an inflatable bunny chair? 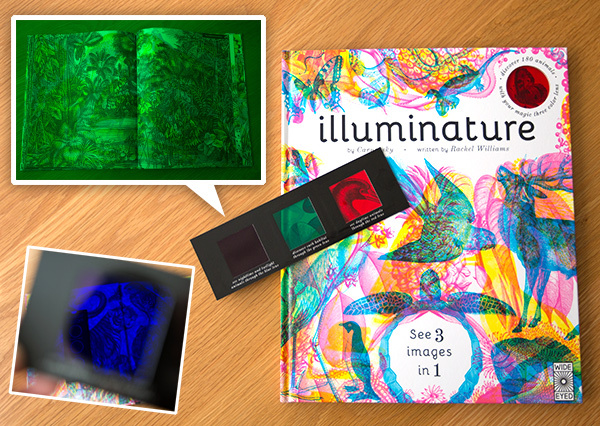 Illuminature - the mind blowing picture book by Carnovsky is a no brainer this holiday season. What a beautiful way to learn about animals (and color!) - see an in depth NOTCOT look at the book. 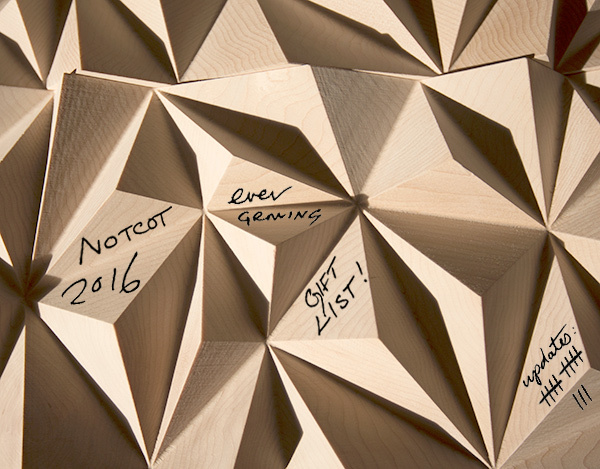 Our NOTCOT In Plain Sight Collection is back! A subtle black on black - until you flash it and the reflective stripes and custom text will light right up! We were out of stock and then unable to make them while were out in Nashville this summer (Yes, we hand make them all! Right here in NOTlabs!) - but i’m starting it up back up, and stitching away! 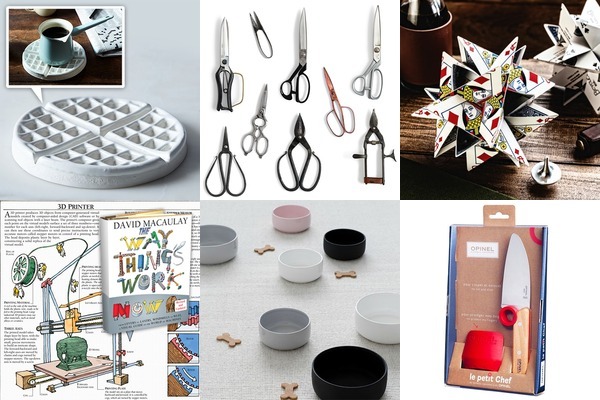 Let’s kick this gift shopping list off with some picks from the last year on NOTCOT.org. 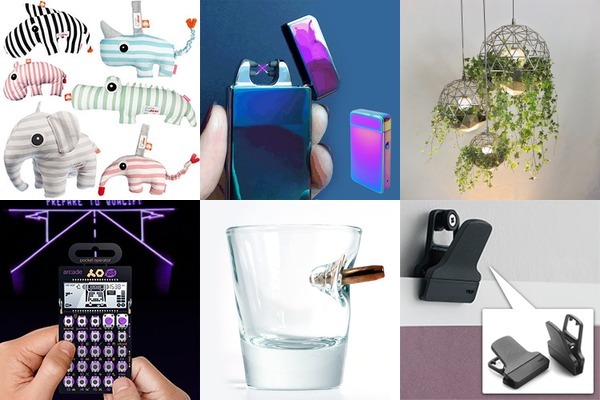 Click any of the squares to go shop/find out more about the products. Please note that often these links will take you to FAR more goodies from the same company! 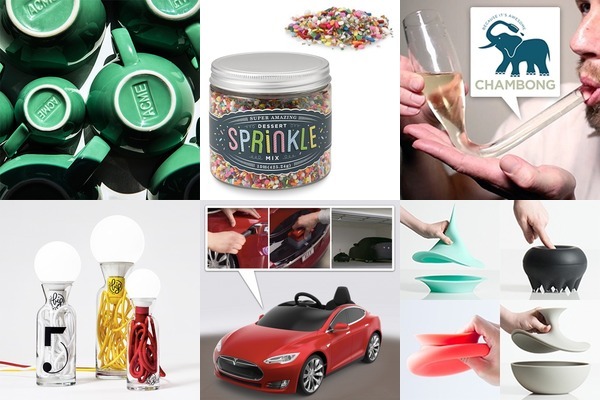 Chambongs are now even in acrylic?!?! 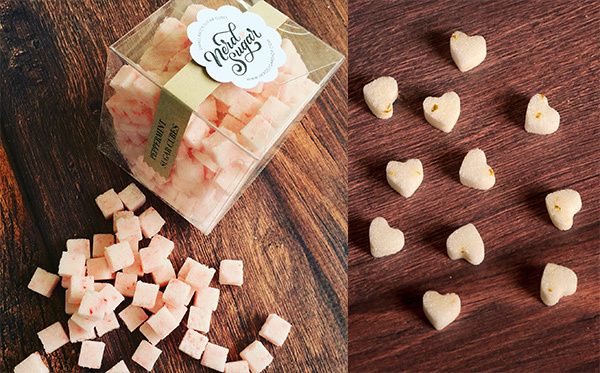 Rainbows of salts and sprinkles to brighten up and meal or kitchen counter. 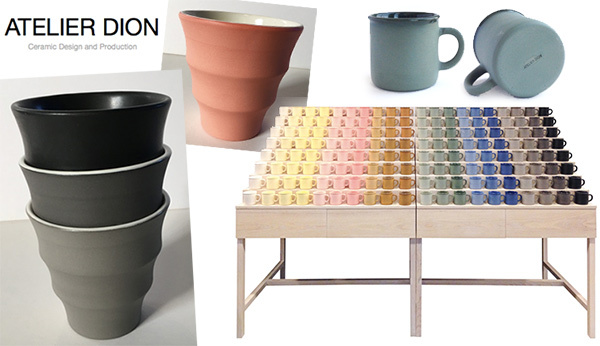 The iconic espresso/coffee cups from cafes to your home. The spherical lights! In the carafes! Baby Tesla with such hilarious details! I just want to smoosh everything Finell. Who isn’t curious about Cricket Pasta? People keep claiming that bugs are our future protein source. Lovely planter stands in a bunch of popping colors. Throw a party like Dali! 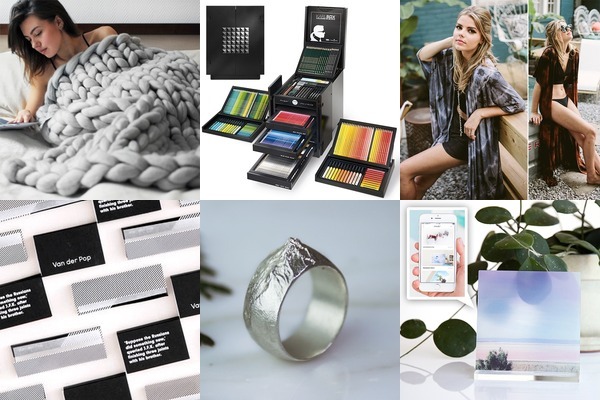 These stamps will make you want to send more snail mail. Stunning illustrations to teach about food chains. The waves in that pie dish! 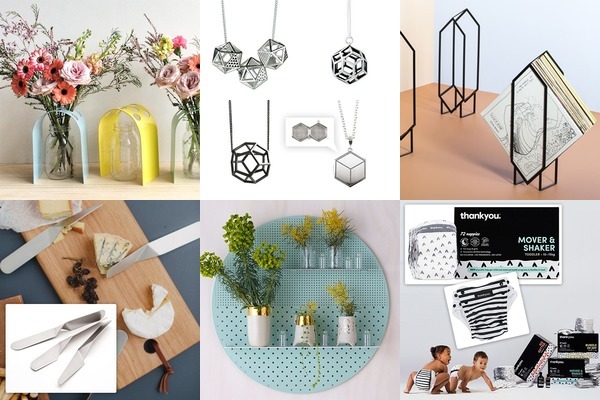 Yes - there’s been a subconscious trend of plant stands/hangers this year - let’s just call it a trend? Mod birdhouses! 360 panoramic umbrellas!!! Fishy spinning tops. That MACE - even if you didn’t use it to work out - what a conversation starter? And one day i will see the northern lights - until then, this candle is pretty beautiful. Pocket slingshot that can shoot ballbearings OR arrows. laser etched rolling pins add a whole new dimension to your cookies. MOLLE straps and whale tails on your cooler?!?! Puzzle rings to keep anyone busy. Cotton Candy - delivered! and made with organic sugar! in delicious flavors! Babies need a narwhal?